The Mission of Down Syndrome Queensland is to build community awareness and to support, advocate for and empower people with Down syndrome in order for them to take their rightful place as valuable and contributing members of their local and global communities. to actively engage with the Down syndrome community to understand current and emerging issues and needs concerning our members. 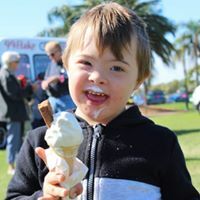 The vision of Down Syndrome Queensland is to be the preferred point of contact and source of information for people with Down syndrome, their families, carers and the wider community so that they may achieve the support, expert advice and quality services they require to fulfil their potential. creating consortia with other organisations where possible and beneficial.